New turf beneath the Abbey Green tree. Out in a rather wet and cold Bath today but cheered by the new turf that has been laid underneath the still leafless tree in the middle of the little square that is Abbey Green. 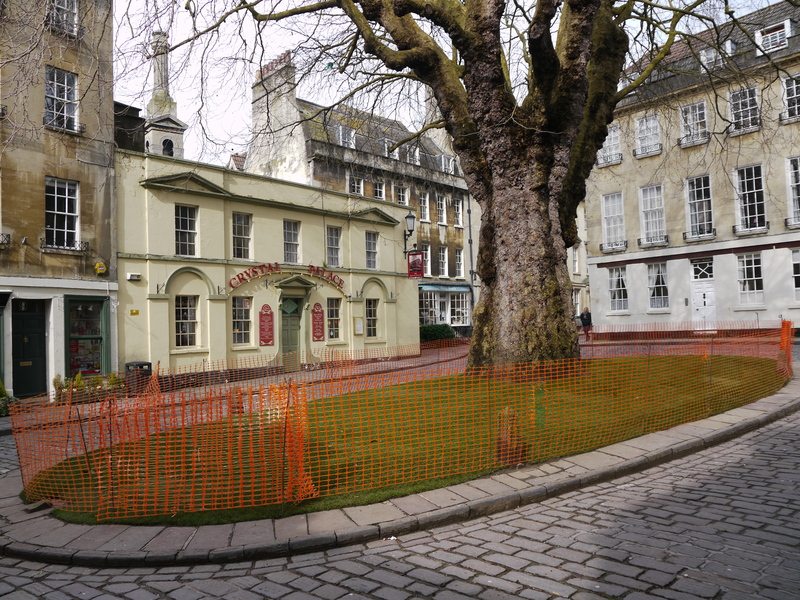 It was originally the site of the monks’ bowling green and is one of the more secluded urban spaces in Bath. A dedicated Cheap Street route for cyclists! Elsewhere at the High Street end of Cheap Street the new pedestrian paving is also including a route for cyclists it seems. 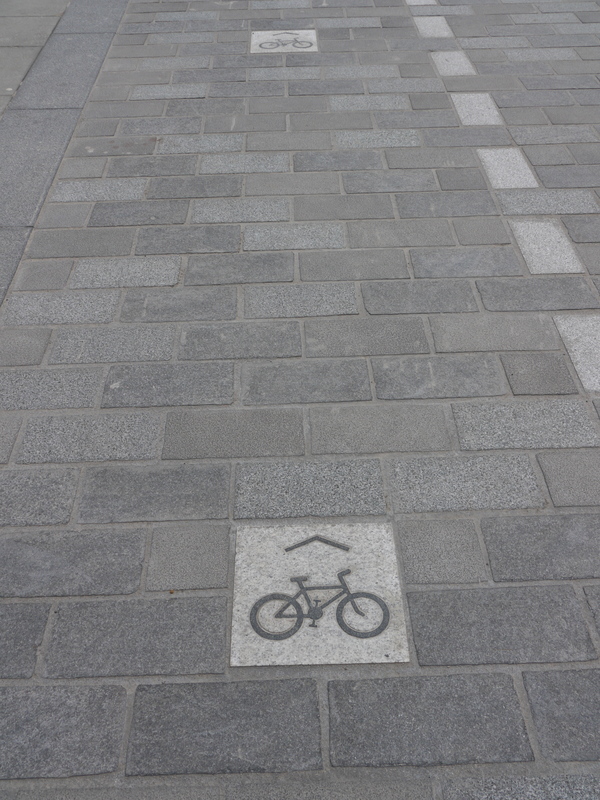 The newly laid stones have bike symbols showing a designated space.